Sometimes I choose the places I want to visit based on very little or very random information. I went to Nairobi almost entirely based on recalling my old college music professor saying that is was 74 degrees every day of the year there. I went to Penang because there's an island there called Georgetown, and I reasoned anywhere I go that had my name in it couldn't be that bad. I went to Tokyo because, shortly before I left someone told me "You should go to Tokyo!" I went to Uruguay because I wanted to take a boat somewhere from Buenos Aires and I stopped in Porto Alegre because I'm a sucker for any place that has Happy or Good in the name. So what brought me to Zanzibar? In high-school I was something of a Queen junkie. It was a phase that left me with a somewhat embarrassing, encyclopedic knowledge of Queen trivia, including the fact that Freddie Mercury was actually born Farrokh Bulsara, in Zanzibar, Tanzania (In these halcyon days of Wikipedia and the like it's become less impressive to know obscure things, but I assure you dear reader, these facts were etched in my brain well before such convenience). So when I realized how close that was to Nairobi I knew I had to go! 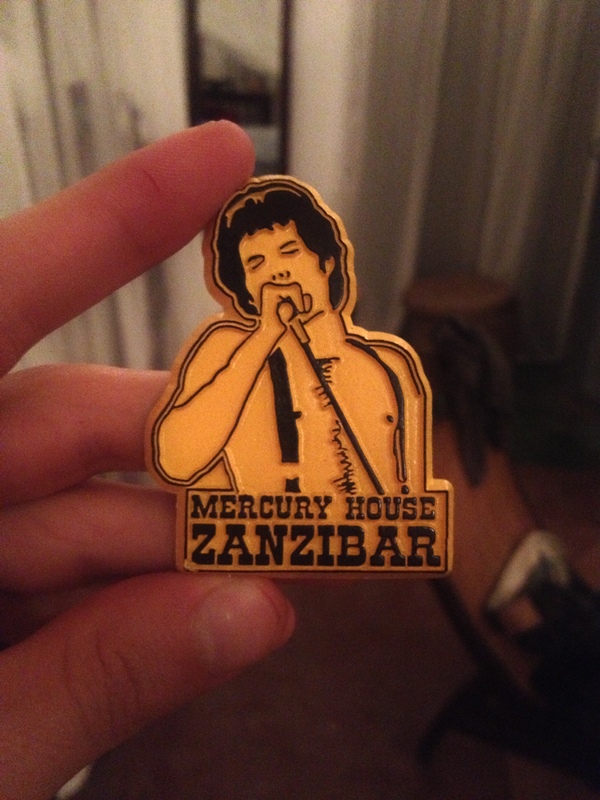 When I was in Zanzibar last year I visited the Mercury House in Stonetown. Supposedly it's the house Freddie was born and raised in. In a country that's 90% Muslim and fairly conservative there's something funny about walking the streets and seeing a poster with a bare-chested, Freddie Mercury prancing around no stage, wearing a crown and a robe. So, like a good tourist I bought a refrigerator magnet. If you're in Zanzibar it's probably worth a visit, if for no other reason than the fact Zanzibar is really not that big. Another time I'll talk about the days I spent scootering around the entirety of the island, swimming with dolphins and the night I spent in a British expat's home that could've been straight out of Swiss Family Robinson.